Put the dates in your diary, on your calendar or in your high tech device! Don’t go anywhere this Labour Weekend because we are getting together to celebrate the heritage, community and future of West Melton! We have an action packed weekend for the whole family, from Friday through Sunday. Already many groups and individuals are busy planning the following events to help us all celebrate our thriving community. Thank you to Gillman Wheelans, McLenaghan Contracting & Farmlands co-operative for coming onboard as Gold Sponsors to ensure a successful weekend for all. Their generous contributions are appreciated. The West Melton School will be open for the community to view presentations by the various classes. The students will be working during the year in their social studies inquiry unit on the history of West Melton – “Time after Time”. There will be games and a chance for the children and teachers to dress up and experience yesteryear. This will be a formal occasion held at the Community Hall; dust off those dancing shoes, search out your ball gown or go back in time and wear a costume from yesteryear. Entertainment by fantastic band, the Meaniez, will include a variety of tunes suitable for a waltz, fox trot, rock and roll and boogie. They will also play any request you may have so no excuses not have a fun time, Supper will be provided by the West Melton Playcentre and the West Melton Rugby club will be managing a cash bar. Keep an eye out for ticket sales later in the year. This is a fun event showcasing the best of West Melton and for the entire community. The New Zealand Army Band will lead the Parade on a 1.4km route through Preston Downs and onto Weedons Ross finishing at the West Melton School. Here we will have a designated picnic spot, static displays and all types of stalls and activities. We will be contacting the community clubs and groups over the coming weeks about the parade but in the meantime if you would like to have a float/walk/ride or drive in the parade, please contact the team on westmelton150thparade@gmail.com or Sandy on 03 347 4209. This is an informal get together at the West Melton Rugby Clubrooms. A good chance to catch up with friends past and present, have a drink and finger food. Cash bar available, no door charge and everyone welcome. Back by popular demand – those who went to the last ones will know what we’re talking about. Entertainment by “The Muppets” – the legendary band returns for their last ever West Melton gig and BYO drink and nibbles. The night will include a crazy theme (all will be revealed soon!). A great night out for those looking to let their hair down and have some fun! Tickets will be available soon and will be running hot so set the date aside and don’t miss out. An opportunity to reflect on the amazing place we live and create a lasting monument that symbolizes all we love about West Melton. Local church/s will hold services, and then dignitaries & guests will join us to lay a foundation stone for the proposed Sports & Leisure Centre, and dedication. This event will be held in the West Melton Reserve and followed by tea, coffee and cake. Then follow Lynda Seaton for a guided walk of the St Paul’s Cemetery. Everyone welcome. The West Melton Reserve is home to WM Rugby, Netball, Tennis, Football and Bowling clubs and the WM Scout group. The clubs are planning an action packed day of sport and recreational activities at the West Melton Reserve. 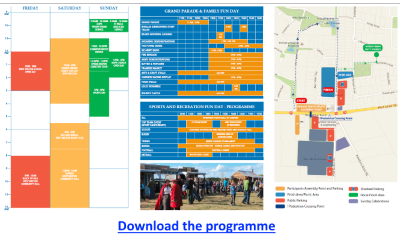 Plans for the day are still being developed, but a range of activities are being considered that will cater for the whole family. For questions, comments or offers of help, please contact the 150th organising committee, westmelton150th@gmail.com.